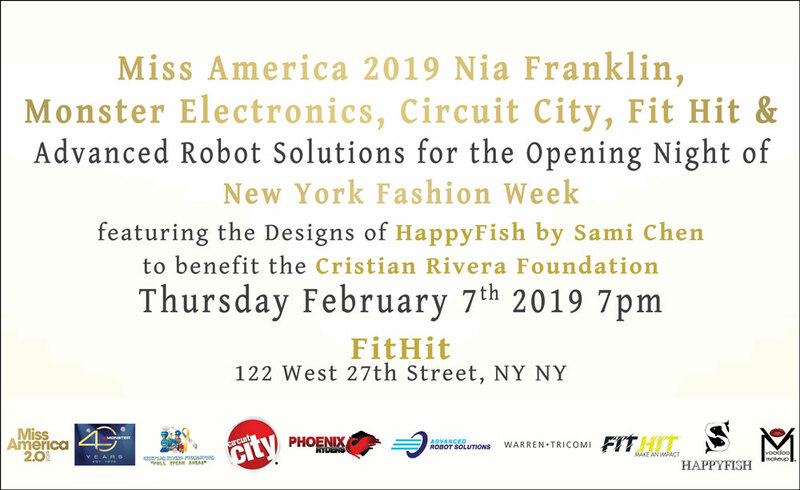 Miss America, Nia Franklin walks the runway today, in this weeks opening event for the 2019 NYFW. For the first time, 25-year old, Nia Franklin walks alongside Life Size Robots. This rare found idea was put to life by CRF proud supporter and talented Taiwanese Fashion Designer, Sami Chen of HappyFish Fashion. Todays show is in honour of The Cristian Rivera Foundation and all proceeds will help further our search for a cure for DIPG.